Yesterday afternoon I had a strange feeling to check my book downloads on Amazon. I had already checked them that morning, but for some reason, I felt compelled to do it again. I must confess I was surprised to see my novella, Saying Goodbye: The Christmas Gift had nearly 700 downloads since that morning. I know it’s not even Halloween yet, but if you enjoy a heartwarming story of love and forgiveness, Saying Goodbye: The Christmas Gift is just for you. I’m so excited to announce the release of Return to Walandra: The Legend of the Dragon’s Blood Key – Book 2. I’ve also make Book 1, The Dragon’s Blood Key FREE! Description: The adventure continues when Cassy is forced to return to Walandra and battle the evil Alona once and for all. As she prepares to go into battle, Cassy learns the truth of her heritage and how her bloodline will give her the power needed to be victorious in the coming war against Alona and her Demlins in the Land of Shadows. Return to Walandra is the exciting conclusion of the Legend of The Dragon’s Blood Key. Wow, I can’t believe how long it’s been since the last time I did a post. Life has been rather demanding. Since the last time I blogged, I’ve moved into a new house… LOVE IT! I have the perfect office with a great view for writing. Not being as energetic as we were years ago, the whole moving thing took more time than expected. I still wonder how in the heck I managed to collect so much over the years. It is always surprising to find all the clutter you’ve gathered when you have to move it to a new house. So, now that I’m finished with unpacking and the weather is cooling, I will do my best to post more often. I do have some exciting news to share with you, but I believe I’ll save that for my next post. Well, I know I’ve been sharing blips of my current-work-in-process, Return to Walandra, BUT I’ve fallen prey to something I’m sure most writers do… I got distracted and pulled away to another project. Sacrificing Souls is from my Paranormal/Horror Halloween blog short story from a couple of years ago. I had always thought it could make a great ‘scare-fest’ on the big screen, so I thought why not put it into a screenplay, right? Wow, talk about a completely different way of writing! One thing I’m happy about is I’ve always written LOTS of dialogue in my books, so at least I’m one step ahead there. The WORN wheels on the dolly RUB against the metal frame, SQUEAKING LOUDLY with each rotation. Frank enters the kitchen. He walks toward the corner by the exit to the back porch. The temperature in the room suddenly drops, showing each breath Frank takes. Pushing the dolly to the corner, Frank SENSES an unseen presence. Beads of sweat appear on his forehead, in spite of the cold. Frank STOPS and glances around the room. Dread is on his face. Frank unclasps the strap around the boxes. You shall be another sacrifice. Frank FREEZES in place, his eyes wide with fear. Frank looks around the room. His face is ASHEN and his body TREMBLES. You–you– you’re not real. I–I–I’m just letting m–m–my imagine g–g–getting the best of me. Frank lifts the first box and sets it next to the wall. Frank picks up two of the boxes and stacks them by the first. He reaches for the last two boxes. His vision becomes blurry. With both hands, Frank frantically RUBS his eyes. Your death will be thought as an accident, but you will know the truth. Flames fill the room. The intense heat of the flames GLOWS. The metal cabinet handles and the appliances on the countertop are BUBBLING and MELTING. Frank STUMBLES backward, tripping over one of the kitchen table chairs. Holding out his hands, Frank watches the flesh melt away, leaving only bone. The fire grows until his entire body is trapped in the flames. His body THRASHES, as the flames consume his flesh. Frank is on the verge of MADNESS. He opens his mouth to CRY OUT when in a FLASH of bright light, THE ROOM AND HE RETURN TO NORMAL. Frank quickly sets the last two boxes next to the others and RUSHES out of the kitchen, pushing the dolly, its wheels SQUEAKING LOUDLY. I hope you enjoyed the tease from my first screenplay. While this is a whole new learning curve for me, I must confess that I’m having a blast! Donna and Steve leaned forward and looked closer at the stone. It was quite beautiful, but upon closer inspection, they noticed a spark of light glowing from its center. “I don’t understand. I’ve seen this necklace around her neck for months, but I don’t remember it glowing like this,” Donna reached up to touch the stone. “It is glowing now to give her the strength she needs to stop the Evil Queen in her plan to destroy Walandra. We are on the verge of a great battle, and I fear many will not survive,” King Ashlym’s voice was firm and unyielding. For those of you who don’t know, I drove team over-the-road with my husband for ten years. He would typically drive during the day, and I drove at night. I spent many a long, lonely night driving the interstate highways of this great country. However, I could always turn on our satellite radio and listen to Coast to Coast with Art Bell, and the miles would seem to fly by. His show was always interesting and managed to challenge his listeners to think outside of the box. The subjects were intriguing, at times a bit silly, while other times they were just plain out scary. I remember one Halloween night during his Ghost to Ghost show where callers would share their ghost stories; I sat in the driver’s seat of our Peterbilt truck scared shitless. It didn’t help while driving across the desert in Arizona, I drove into a pocket of cold air. This, of course, caused the windows in the cab of the truck to fog up just when he was talking about how ghosts create cold spots at that VERY same moment. Yep, you couldn’t have pealed my hands from the steering wheel. Heck, after that, I was WIDE AWAKE for the remainder of my shift. However, things don’t last forever. I no longer drive that big ol’ truck, and Art Bell is no longer with us. He passed from this existence and on to the next, on Friday 13, 2018 in his Pahrump home at the age of 72. I find it ironic he would pass on Friday the 13th, don’t you? Bell was best known for his unsettling conspiracy theories and paranormal topics on his radio show, Coast to Coast AM. He was fascinated by paranormal and unexplained subjects, such as Bigfoot, UFO’s, crop circles, and those things that go bump in the night. 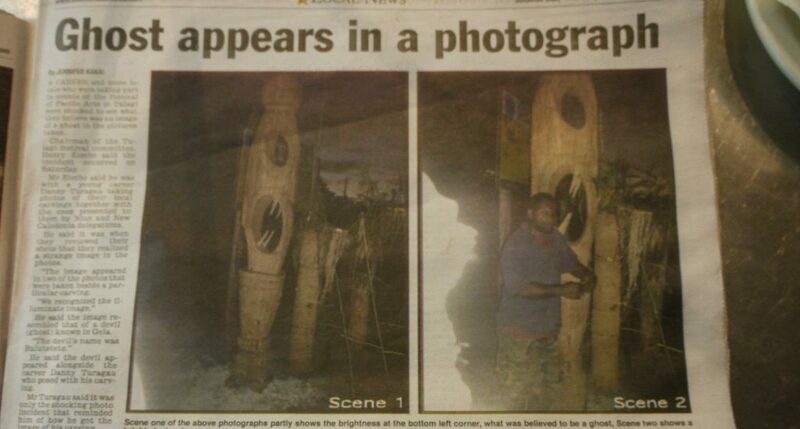 GHOST SIGHTING IN HONIARA IN THE SOLOMON ISLANDS. Tap on the image to read the full story. Coast to Coast was syndicated nationwide on roughly 500 North American stations in the 1990’s. He left the show in 2002 and turned the reins over to George Noory, who continued with the controversial show. Bell broadcast the show from Pahrump’s KNYE 95.1 FM, a station he founded. He was his own producer, engineer, and host. Bell retired several times in his career, which included a short-lived show on SiriusXM satellite radio in 2013. Returning to terrestrial radio afterward was not a difficult decision, he told the Pahrump Valley Times in August 2013. 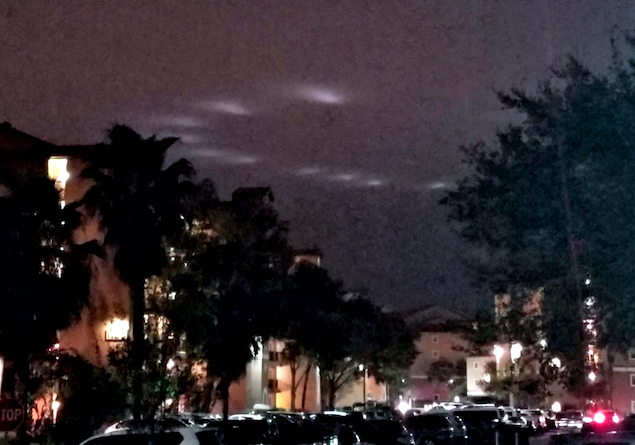 Date of sighting: January 1, 2018 Location of sighting: Orlando, Florida, USA Source: MUFON #89261 A fleet of white glowing UFO’s. In 2006, Bell was inducted into the Nevada Broadcasters Association Hall of Fame, and then the National Radio Hall of Fame in 2008. He also held the Guinness World Record for a solo broadcast marathon, logging in more than 115 hours of airtime while working as a DJ in Okinawa, Japan for a while. According to the Coast to Coast AM website, Bell was an FCC licensed radio technician at age 13. He then went on to serve as a medic in the US Air Force during the Vietnam War. However, this did not dampen his love for radio, and while in the Air Force, he created an on-base pirate radio station. Though, it wasn’t until the mid-1980’s talk radio captivated Bell. He had joined KDWN-AM in Las Vegas, where he mastered his blend of the contemporary and unsettling. The number of crop circles has greatly increased since the 1970’s until today. While many have been proven to be a hoax, others are still unproven. Tap on the image for more information. Well, I must say he did just that, and millions of his fans tuned in each night to learn about those things the MSM refuses of cover. 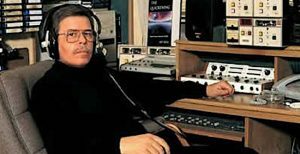 Thank you, Art Bell, for making my long nights on the road entertaining while expanding my understanding of this grand universe we call home. Please share your memories of listening to Art Bell below. Here’s another tease for Return to Walandra. Enjoy! “Demlins are dark, evil creatures that live in the Land of Shadows. These two are servants of Alona and were sent here to earn Cassy’s trust so they could use her to destroy the Royal family.” Keira glanced at Cassy and gave her a knowing look. “Oh, no, is Frier okay? They haven’t harmed him, have they?” Cassy’s heart ached at the idea of Frier in the hands of Alona. “No, he’s safe for now, but if we don’t stop Alona, I fear the entire Royal family will be lost.” Keira did not want to frighten Cassy, but it was important she knew the truth. “I don’t understand. What does this all have to do with Cassy?” Steve cleared his throat, trying to calm his nerves. I hope you enjoyed this week’s teaser from Return to Walandra. If you haven’t read book 1, it’s available on Amazon for only $2.99 or free on Kindle Unlimited. As Indie Authors, we are always looking for exciting things to add to our writing careers. While writing books are our first passion, learning exciting new things can make writing a never-ending thrill ride. I didn’t make this cover. Being a bit tight with my money, and wanting my books to get out of the red on the earning scale, I taught myself how to format my books for ebook and print, and then I moved on to learn how to create my own book covers. After hours of pure insanity and pounding my forehead on my desk more times than I want to admit, I may not have mastered the craft, but I can do a pretty good job. Heck, I’ve made the covers for all of my books except for two of them. Then one day I had the bright idea of doing a podcast. I’d never done anything like that before, but I thought, heck, if others can do it why can’t I, right? So, with my partner, Indie Author, Lisa Vandiver at Dead Reads, we started the Deadly Reads Radio podcast. We started out on Blog Talk Radio, but last year we decided to leave and move directly to Youtube. If you want to check out our little podcast go HERE. Next, Lisa and I decided to dive into the world of Author Services. Heck, we had learned how to prepare a book for the reading public, so we decided to offer our services for a reasonable price. We’ve had so much fun helping first-time authors get their books ready to publish. If you ever find yourself in need of our services you can find us on our website Author Services page. We offer a wide range of services. While doing all that is fun, Lisa and I can’t seem to stop wanting to learn more. Our latest adventure is in the world of screenwriting. I must admit I was a bit nervous at first, but as I go along, I’m finding it to be not only fun but also easier than I had initially thought. Lisa has already finished her short story, The Moon People. which is available as a FREE download on Amazon. She then wrote a skeleton version of my short story, Sacrificing Souls so I could have it to learn. I must admit using the Final Draft software practically writes it for you. I was a little nervous when we purchased it because it’s a little pricey, but as I go on, I’m finding it is worth every penny. Writing a screenplay is SO different than writing a novel. In a novel, you are supposed to show not tell, BUT in a screenplay, it’s the opposite. Everything is done in present-tense, and you only give the bare minimum description in the action statement. Yeah, I know, it goes against everything we do as authors, but, hey, rules are rules. Over time, Lisa and I plan to put most if not, all of our books in a screenplay version and see where we go from there. Keep your fingers crossed for us. The other thing I’ve decided to learn is how to do computer-generated imagery or CGI. I found an open-source program called Blender. While it’s free, it’s loaded with options. The only problem is IT’S LOADED WITH OPTIONS. I found a YouTube channel with some great tutorials, but the learning curve is still tough. Whenever I finish my first project, I’ll share it with you, but until then I’ll keep watching the tutorial videos and stumbling through the Blender program. Pretty cool, huh? I see some AWESOME book trailer videos and short movies ahead for Deadly Reads. Well, I need to get back to work. I just thought I’d share what all I’ve been up to lately. Take care, and if you’re a writer KEEP WRITING, and if you’re a reader grab a great book from an Indie Author. That always makes us smile. You can find my books on Amazon. Lisa’s are available on Amazon, too. Lisa and I have several FREE ones for you more frugal readers. “Stop fighting,” David growled in a low and menacing tone as he tried to regain his grip on her. “Cassy, what’s happening to me. I feel strange,” Melissa cried out. “Let her go!” Cassy shouted as she reached for Melissa again. “Stop wasting our time,” David grabbed Cassy again, but this time the pain he experienced from her touch knocked him back several steps. “Leave her! We’ll take her sister, that way she’ll come to us,” Ralph yelled as he faded away as well. Realizing he had no choice, David released his hold on Cassy. “I will see you soon, Champion,” his laughter filled the air as the three of them disappeared. It’s getting exciting now. Come back next week for another Tuesday Tease. I hope you enjoyed this week’s teaser from Return to Walandra. If you haven’t read book 1 it’s available on Amazon for only $2.99 or free on Kindle Unlimited. Nothing is more fun than a Cover Reveal. Yesterday, I told you about my current Work-in-Process, Return to Walandra, the sequel to The Dragon’s Blood Key. I hope you enjoyed reading the tease and watching the Book Trailer Video. I’m having so much fun writing this continuation of the Dragon’s Blood Key saga. I love the characters and I’m sure you will too. I have brought many of the favorites from book 1 and have even introduced a few new ones. Linda L Barton on Cover Reveal! Linda L Barton on It’s Christmas Time!